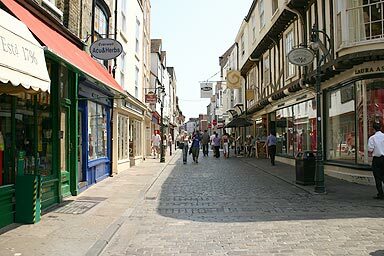 This street is known as Burgate and is parallel to Canterbury's main street, from here, it runs south to the site of an old Roman gate to the city from which the street takes its name. If you exit from the Cathedral via the shop, you can end up in this street. Photograph June 2005. © Copyright Peter Collinson, All rights reserved.